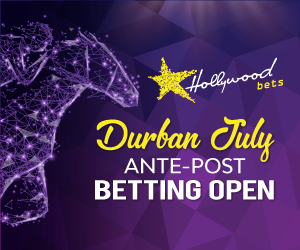 Best bets and value tips for racing from Turffontein on Sunday 8th July with selections provided by Winning Form as well as their back page tipster, Magic Tips. HIT THE GREEN began his career with much promise on this course before he may have been outclassed in a Grade 1 in early May. He should return to form at this lesser level and has definite claims from his good draw. That isn't a luxury for impressive debut victor ROBBERG EXPRESS who landed the betting coup in fine fashion at the Vaal five weeks ago. TOP RANK is above-average and the Mogok colt's smart post maiden effort in a strong graduation field second time out is evidence of that. The Woodruff inmate stayed on well for 4th over this c & d in his comeback from a ten week layoff that day and he will strip much fitter now. Of course he does seem to be ahead of the handicapper at this early stage and can take full advantage on his handicap debut here. CLOUD BREAK was below-par in her first venture around the bend but the useful bay filly would have gained from the experience and she can return to form over today's shorter trip. She is her yard's only runner on the card.